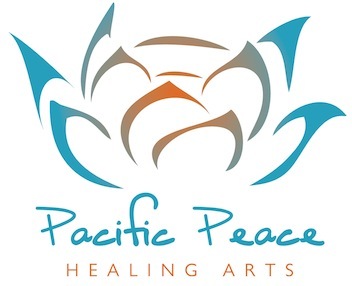 Creative, resourceful, intuitive and welcoming are traits Cynthia Miller naturally exhibits in her roles as Intuitive Mentor, Clinical Hypnotherapist and Teacher of the Healing Arts at her Pacific Peace Retreat on the sunshine coast of BC. Her mission has become one of great importance as she guides and teaches men and women to embrace their gifts and walk in greatness. Cynthia’s journey has been one of a realization that it’s your heart that leads the way, your soul that knows the truth and it’s your body that communicates what is right for you. It has been Cynthia’s passionate mission to help others feel grounded, realize the energy they are creating and know from within when they are living authentically. When Cynthia was young, she didn’t feel like she belonged, was not able to conform to what was expected of her and did not know how to express herself. She suffered from anxiety and withdrew and became quiet and sullen. She felt stuck and didn’t know how to change until she learned about the subconscious mind and how it was the container from which she could begin recreating her beliefs. Realizing the untapped power in her mind she shifted her thinking and applied basic habits and practices over the years and through her studies has overcome self doubt, low self esteem and negative thoughts. Becoming proficient with intuitive insights and realizing amazing results, she was encouraged to learn more about energy healing and how to create a positive presence in the world. Tuning into her own truth has allowed her to live in full colour of the light and love she knows she is and over the years developed a program to help others open up to their own purpose. With the “MindSet Soul Alignment program she guides you to your higher self, the purest aspect of who you are that allows you to be the best you can be. Cynthia’s MISSION is to help others embrace who they are and align with their true higher self to live their life freely. She helps them realize their strength is the wisdom that has developed from their experiences. When the layers of trauma and hurt are dissolved to allow a higher vibrational energy to expand, transformation opens their heart to a wonderful freedom. Her VISION is to guide and mentor others to help them transition from the past into their future with a expansive outlook to realize opportunities, not obstacles. She believes that you choose to release limitations and blocks when you are ready and only then can you become free of the energy that holds you back. Her WISH is that others see themselves as the magnificent being that they are to make this world a better place for everyone. She says that creating a connection with your spiritual self, you become aware of the possibilities that are there for you and you recognize your importance in the connection to all that is. Cynthia practices Hypnotherapy and other Healing Arts, The Emotion Code, Access Consciousness, Reiki, Energy Chelation and Sound Therapy. She likes to dabble in natural ways of healing with Spirit and Mother Earth’s gifts of stones, crystals, animal totems, plant spirit medicine, essential oils and healing tinctures. When at the retreat you will find Cynthia in the garden or greenhouse, on the water exploring the inlet or in the kitchen concocting healthy organic food. She says she feels grounded to the earth element, loves the fresh air, is calmed with the inlet waters and warmed by the fireplace in her cozy healing room. If you would like to learn more about Cynthia’s practice and how you can tap into your potential, please click the button below and book a free Discovery Session. Click below for your choice of Mentoring or Retreating.